For years, Florida law has considered texting while driving a “secondary offense.” Roughly speaking, that means that police cannot pull you over or issue you a citation because you are texting while driving. They must have some other cause to issue you a citation. That can include causing a major traffic accident or violating traffic law. In other words, you can’t be pulled over for texting while driving, but you can be pulled over for running a red light and texting while driving. 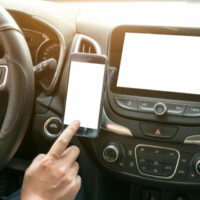 Meanwhile, texting while driving is a major cause of distracted driving accidents, a category of traffic accidents for which Florida ranks second in the country. The bill is set to make texting while driving a primary offense, meaning that police officers will be able to pull you over if they catch you texting and issue you a citation. Florida remains one of only four states in which an officer cannot pull over a driver for texting. While Florida is a no-fault state when it comes to traffic accidents, no-fault may be a deceptive description of how the system works. Every Florida driver is required to carry $10,000 worth of PIP (personal injury protection insurance). PIP covers medical expenses, lost wages, and other economic damages. It doesn’t matter who caused the accident, the driver’s own PIP coverage pays out in the event that they are injured. In a no-fault state, PIP insurance covers only 80% of the insured’s medical expenses and 60% of their lost wages. On top of that, there’s a deductible. So, let’s say you make $3000 a month. You are driving on your way home from work while another driver is texting. They run a red light and t-bone your vehicle. You have $5000 in medical expenses. You lose two months from work in recovery. Even though you make $3000 a month, you are only eligible to collect 60%. That’s $1800 for each month or a total of $3600. In addition, you have $5000 worth of medical expenses. You can only get $4000 paid off through insurance. So basically, through no fault of your own, you’ve managed to incur $2400 in lost wages and $1000 in medical expenses. You can add whatever your deductible is on top of that. Under Florida law, drivers must turn to their own insurance for compensation when they are injured. There are, however, exceptions. If a driver suffers a permanent physical injury in a traffic accident, then they can sue the at-fault driver. If the injured party’s losses exceed $10,000, then they can sue the at-fault driver. Florida’s no-fault insurance is not a perfect system. It’s not even a good one. It doesn’t punish at-fault parties for poor driving, and it does punish the injured party’s merely for being unfortunate. There are, however, situations in which hiring a personal injury attorney to litigate your claim against a negligent driver are allowed. If you’ve been in a car accident and sustained permanent injuries or losses totaling more than $10,000, reach out to the Miami attorneys at the office of Alan Goldfarb, P.A. and we can help to recover your damages.